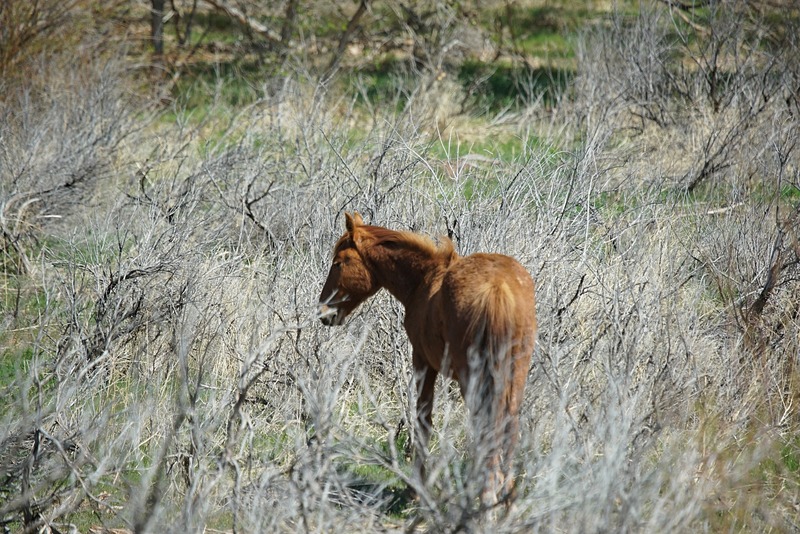 On a sunny, warm spring day we set off to look for wild horses. 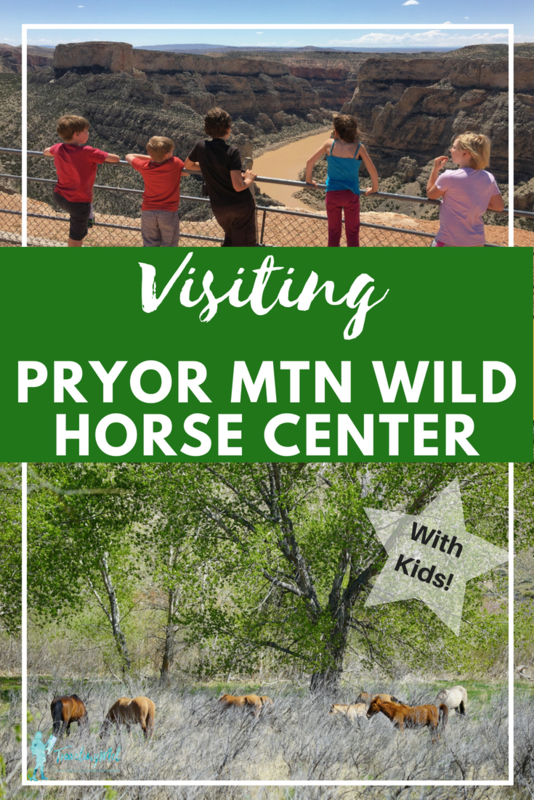 Thanks to a field trip organized by Angela, a parent in our homeschool group, we finally got into the Pryor Mountains to see the wild mustangs I had heard about for so many years. 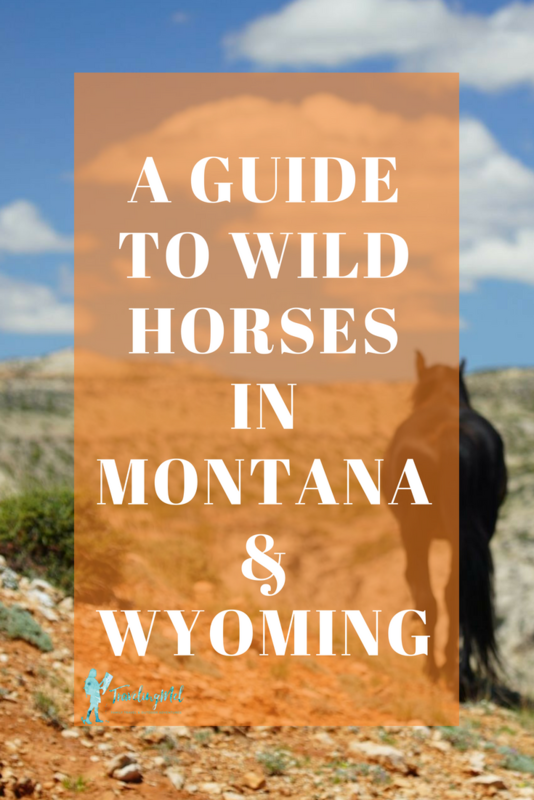 Wild horses are an important part of American and Montana/Wyoming history and culture. These horses are the direct decedents of Hernán Cortés. Well not quite, but they are the decedents of horses brought to the New World by Spanish Conquistadors. While Spanish colonization of the Americas was not good for the people who lived here (she says with huge understatement), one of the legacies of that invasion and colonization is the wild horse population that still roams the hills today. 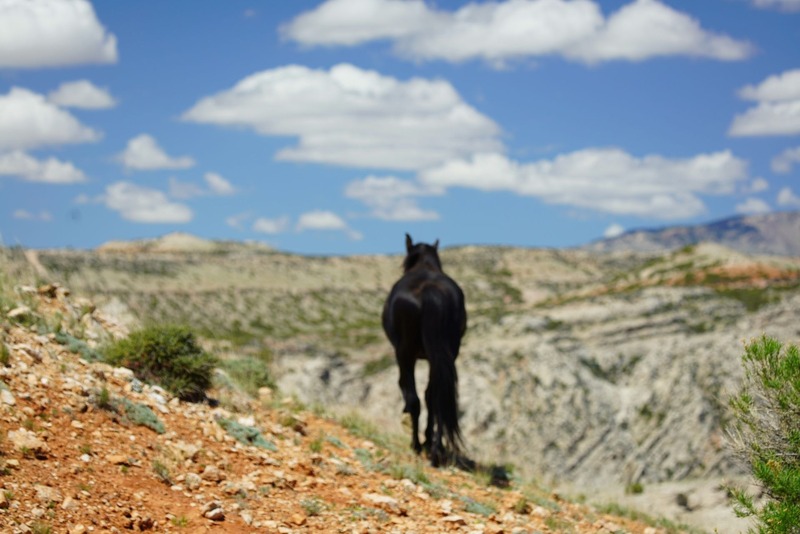 It’s about a three-hour drive to get to the Pryor Mountain Wild Mustang Center from Livingston, but it has to be one of the most scenic drives in the country. Especially in spring when the rivers are high and the grass is green. We brought a friend with us, so I got to share the drive with two nine-year-olds and an eleven-year-old and listen to an audio book for their homeschool book club. The visitor center in Lovell, Wyoming is small, but nice. We got a map of the area, information on where to look for horses, and little history on the horses, before setting off to find them. The staff at the visitor center monitor the wild horses, keep track of births, and take care of two wild horses that now live in a corral out back, as well as educating the public. While we started in Wyoming, the mustang preserve straddles the Wyoming-Montana border and it wasn’t long before we were back in our own state watching bighorn sheep bunch up on a rocky outcropping. I don’t think the kids were as excited to see the sheep as I was, but since I was driving, I got to watch them for as long as I wanted. 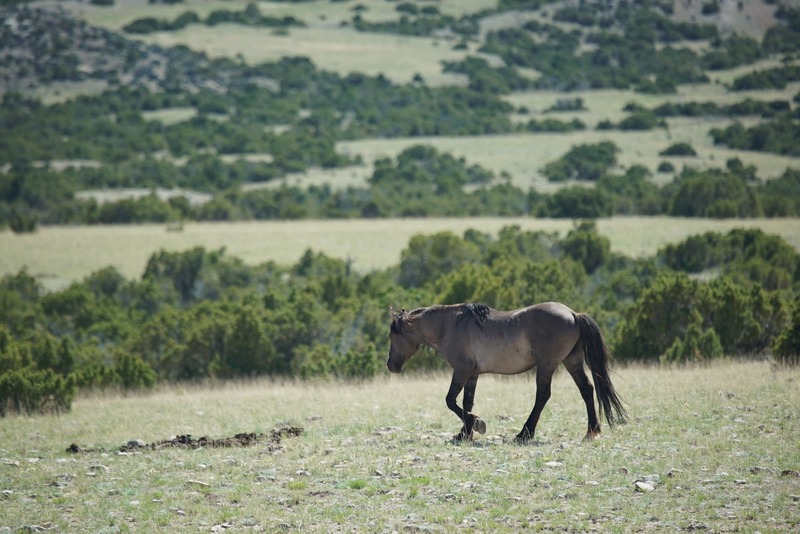 The Pryor Mountain Wild Horse Range was established in 1968 as the first public wild horse refuge in the United States. Happy 50th anniversary! 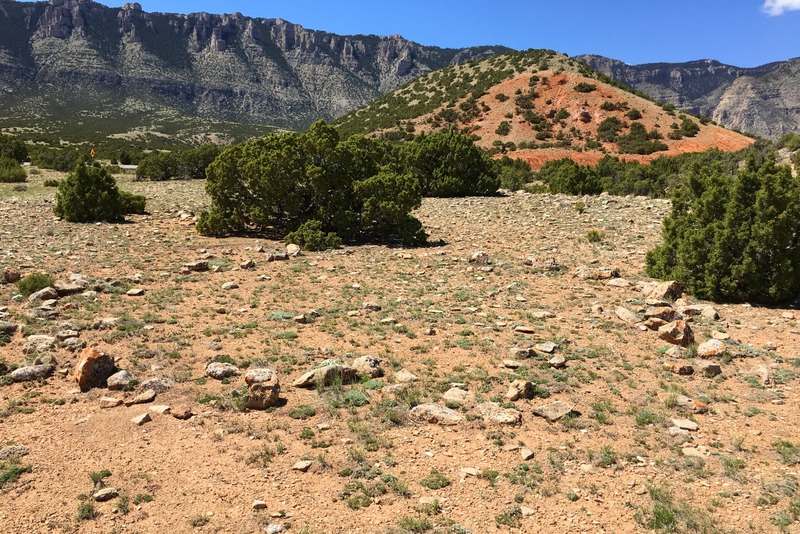 The Pryor Mountains are managed by an alphabet soup of government agencies. The mountains are mostly in the Crow Reservation, but parts are public lands managed by the BLM, USFS, and the NPS. 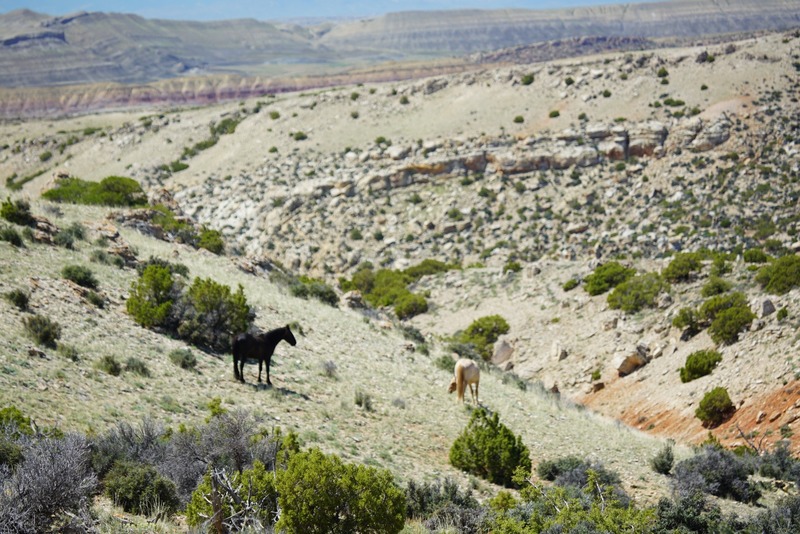 We spent our day in the section of the Pryor Mountain Wild Horse Range within Bighorn Canyon National Recreation Area. The horses are wild, but they are managed. 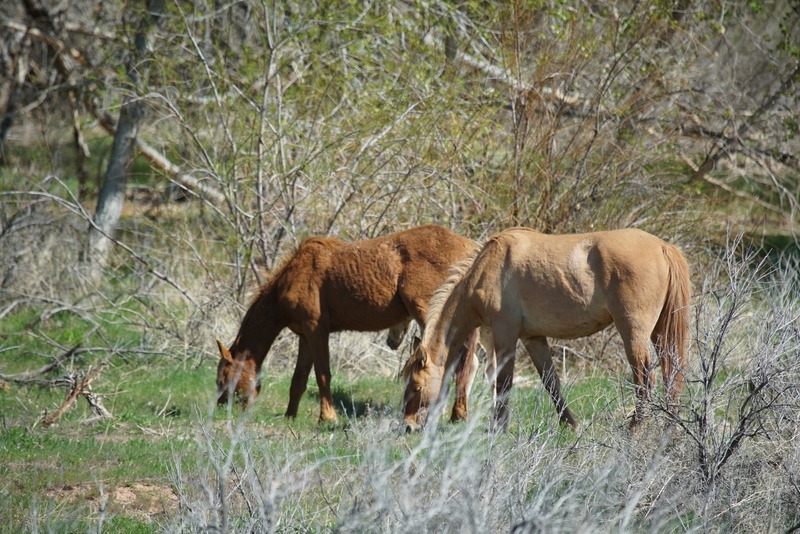 Many of the females are given birth control (through a dart shot into their rumps), and when the numbers get too high for the range, the horses are corralled and some of the younger ones are adopted out. As long as they are young, the can be trained (or broke) like any other horse. Our little caravan saw our first two horses soon after seeing the bighorn sheep. Honestly, we see a lot of horses in Montana, so I kind of had to wrap my head around the fact that these were wild horses and therefore different than the domestic horses we normally see. I had to talk myself into thinking of them more as wildlife than pets. They seem a little stockier with blocky heads, but mostly the wild horses look like regular horses that escaped their corral. I had to look up “croup”: the topline of the hindquarters, beginning at the hip, extending proximate to the sacral vertebrae and stopping at the dock of the tail. The rump. We didn’t see any horses for a while after those first two, but the landscape in the Pryor Mountains is so beautiful, it didn’t even matter. At our picnic spot, the kids (six in total), looked at rocks, followed a dry stream bank, and shook off some of the energy that gathered from sitting in the car for so long. 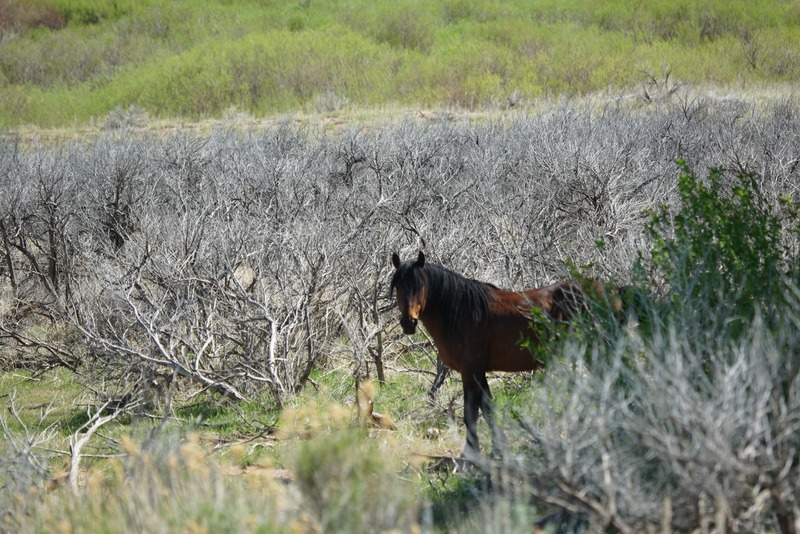 See the story of my second trip, high into the Pryor Mountains to see lots of wild horses. 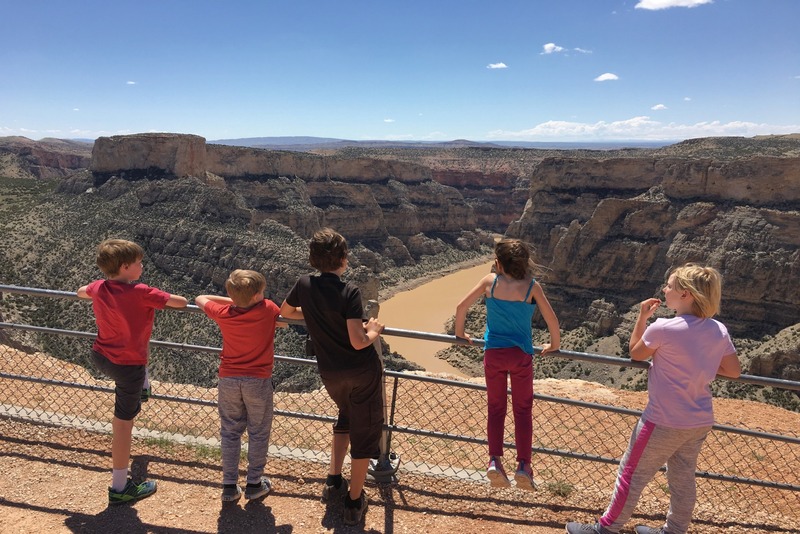 We stopped at Devil’s Canyon Overlook for an outstanding view of Bighorn Canyon in Bighorn Canyon National Recreation Area. It almost felt like being at the Grand Canyon. Swallows buzzed by, raptors soared in the thermals, and I had to keep my jaw from dropping. We looked over the railing at the shimmering waters of Bighorn Lake, but the real show stopper is the striated vertical cliffs rising from the lake. Seeing the layers of rock where the river cut through the mountains while they were simultaneously being uplifted was a complete geology lesson. Our next stop was the Two Eagle Interpretive Trail and tipi rings. The kids just ran ahead on the boardwalk and the three in my car didn’t even notice they had walked by a bunch tipi rings. I should have stopped and talked to them about it, but they usually read the signs so I thought they had it covered. A missed homeschooling opportunity, but they were having fun. As part of an archaeological project, students documented 140 tipi rings in this area. We could see them all over the place. The ancestors of the Crow, Shoshone, and other nomadic native people passed through here and camped. They placed rocks in a ring around the edge of their tipis to hold them down and the stone rings are what remain today. Archaeologists found hearths and were able to use the charcoal to date the 1,200 years of use on this site. We didn’t stop here as we were running out of time and still had a lot of driving to do, but we pulled in and it looked like a shady oasis. Erastus T. Ewing (great name!) came looking for gold and ended up ended up laying claim to a lot of water and starting a ranch. There are a few buildings to look at and the Park Service does tours of the ranch. We continued to the end of the paved road (Hwy 37) and Barry’s Landing. 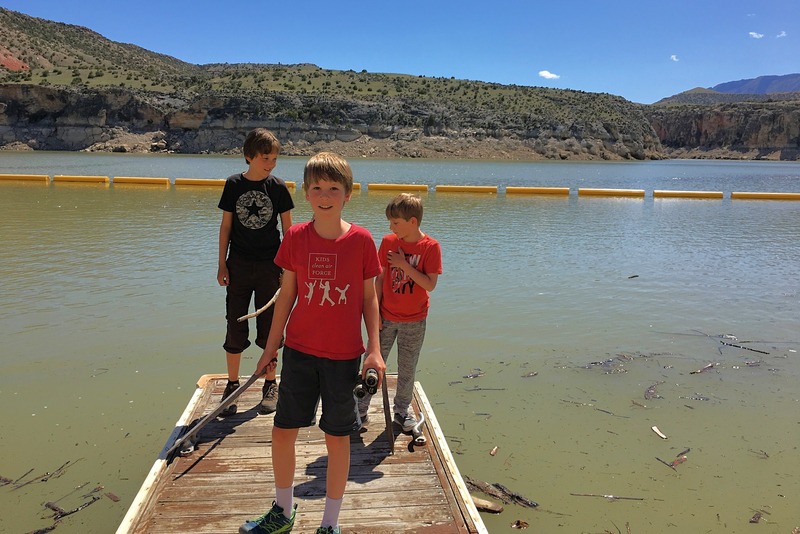 This boat launch provides access to Bighorn Lake. Our kids liked jumping on the dock and throwing sticks in the water. On our way back down Hwy 37, we saw some people on the side of the road with a spotting scope so we pulled over. They found a group of about eight horses in the juniper. One walked across the road in front of us, but the rest were farther away. I could make them out with just my eyes, but the binoculars Big Henry lent us, and the spotting scope our fellow horse seekers let us peek into, made a huge difference. I was starting to feel like it was a real wildlife expedition. Seeing the horses at a distance, walking among the shrubs, eating grass, was pretty exciting. The kids watched for a little while and then decided walking through the culvert under the road was more interesting. At least it bought the adults a little more time to horse watch. We said goodbye to our friends and started the long drive back to Livingston. 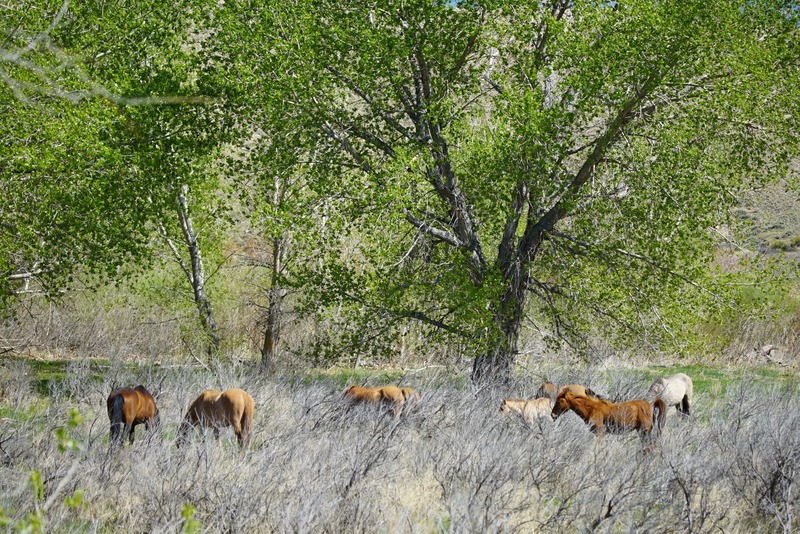 Near the border of the wild horse range I spotted a herd of horses just off the road in some willows and stopped the car. This time there was even a colt. Wild horses live in family bands with a dominant stallion, one or two mares, and their offspring. This group was bigger than that, so I am not sure what was going on. There are bachelor groups of young and old stallions that don’t have mares, but this group definitely had mares and a colt. Regardless of the group make-up, it was amazing being so close to the horses. I kept my distance and didn’t make noise, as instructed, but the wild horses didn’t seem at all concerned to have me standing on the edge of the road gawking at them. They moved around, ate, and two even stood on their back legs, kicking each other with their front legs. The colt hid behind mom most of the time, but came forward and let me see its cute little face. The three colts in my car were anxious to get going, so I watched for about ten minutes and then pointed my steed west. The Pryor Mountain Wild Mustang Center is in Lovell, Wyoming. 1106 Road 12 where it intersects with Hwy 14A, just behind the Bighorn National Recreation Area visitor center. There are other ways to access the land without going to the visitor center first. 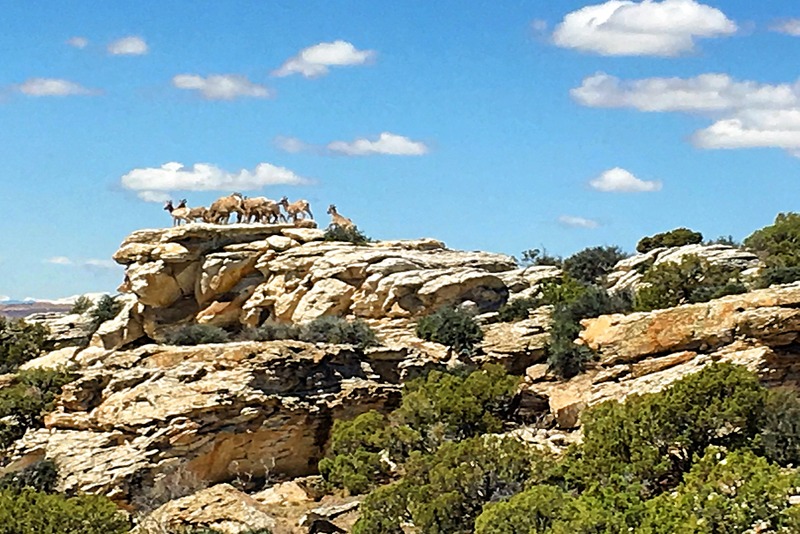 Check with the BLM Billings Field Office (406) 896-5013, the US Forest Service in Red Lodge (406) 446-2103, or the Bighorn Canyon National Recreation Area (307) 548-2251. Get anything you need in Lovell, because once you are out on the range there aren’t any facilities beyond a couple vault toilets. We were able to fill out water bottles at the wild horse visitor center. May-October. We stayed on the paved, lower road, but a majority of the horses spend their summers in the mountains. You can drive up the rugged, four-wheel-drive road (it opened a few days after our visit) or take a paid tour. 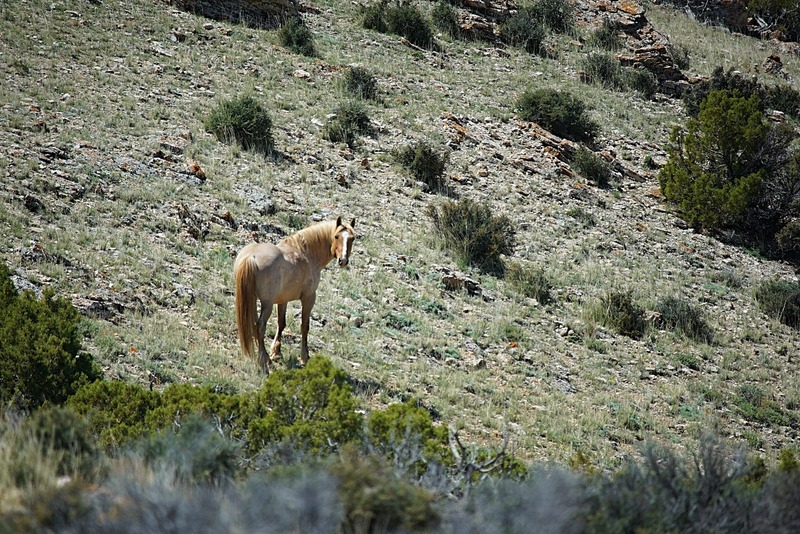 Find out more about the tours on the Pryor Mountain Wild Mustang Center’s website or call 307-272-0364. Buy a Field Guide to the Pryor Mountain Horses (updated yearly) for information on each of the wild horses and their photograph. This is extremely helpful in identifying horses on the range. Available only at the visitor center. 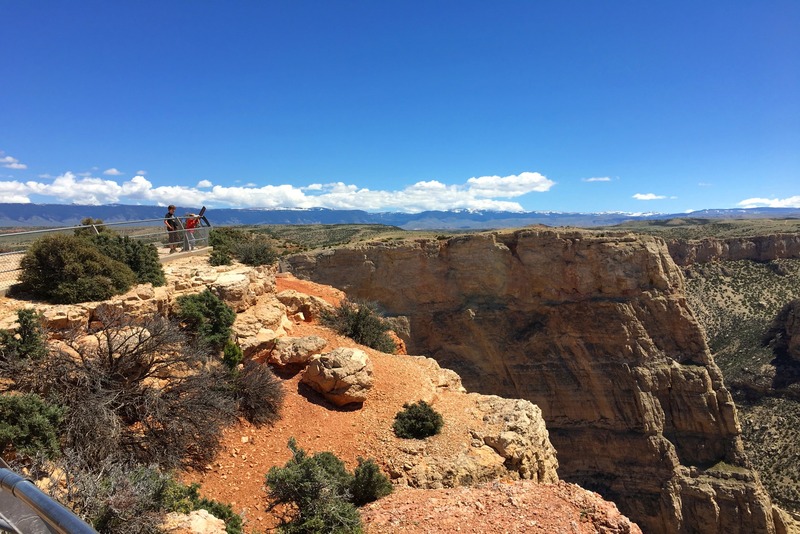 Since we were in the Bighorn Canyon National Recreation Area, we had to pay NPS fees. I have a Access Pass that granted us entry, but there is a fee station to pay for day use. Daily Pass: $5 per 24 hours for each privately owned vehicle or individual on a bicycle. A Daily Pass may be purchased at the visitor center in Lovell, WY, the Afterbay Contact Station, Park Headquarters, the Yellowtail Dam Visitor Center, “Iron Ranger” boxes located at the south and north entrances or online. 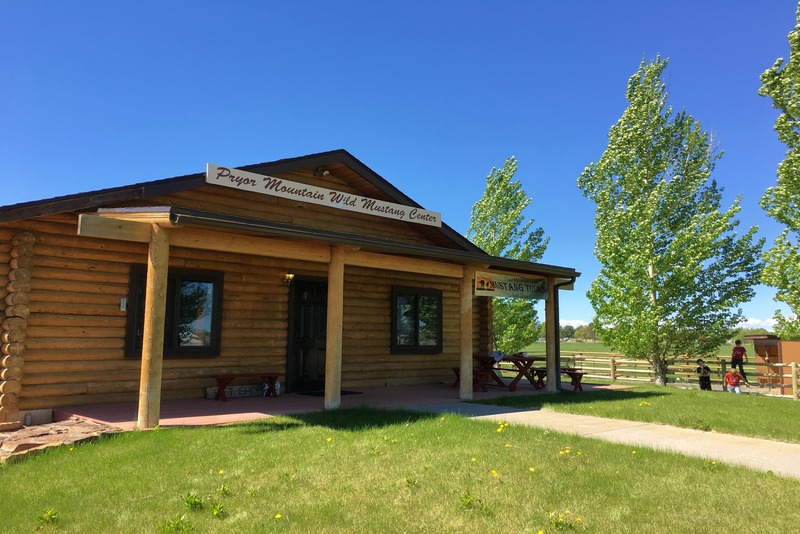 Federal Land Passes may be at the visitor center in Lovell, WY, the Afterbay Contact Station, Park Headquarters, at the Yellowtail Dam Visitor Center, or online. ** All passes should be displayed on the driver’s side dash while parked at Bighorn Canyon NRA.